Just moved to buxton ND from MN. 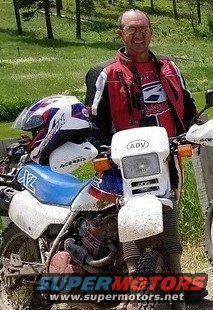 Got turned onto your forum from advrider. Have lots of saddle time on a versys 650 with knobbies for adv riding but looking to do more dual sport riding since I picked up a used xt350 a year ago. Thought I might check out the Pembina gorge this spring and maybe hit the badlands or black hills. Just thought I would introduce myself and see if anyone is on here from the grand foks/fargo area? welcome. Glad you made it over. Welcome. I'm from Grand Forks now living in Rapid City. Think we have a few members in the Fargo area. Watch for details on our spring rally tentative start date of June 13 or 20. Welcome to the DDSR Ben. I'm from just South of Fargo were there is an extreme lack of dual sport riding areas. As Piglet said besides me there is my son and one other in the Fargo area. You should figure out how to break away on June 13th for the spring rally as they are a good time with great people. I live in South West ND (Dickinson), but am always looking for an excuse to go riding. I am planning to attend the Spring Rally. Glad to hear there are a few nodaks in the group. From what I have seen of the ralley it looks like a blast. Hopefully I can make time to attend this year. Hey, I'm in Grand Forks and have been to the Pembina Gorge a few times. The state has maintained their trails well, but it's a little limited up there. Hoping to go back to the Black Hills again this summer. Chi250 have you found anywhere enjoyable to ride around grand forks? I cant find much of interest around here. Not any place to ride trails near Grand Forks. I'm planning on riding trails/camping near Akeley, Bemidji, Bismark, and the Black Hills this summer. yeah its pretty flat and boring here. ive been out around NE MN quite a bit, cant decide if im going to the black hills this summer or not. if your ever hard up for someone to ride with this summer hit me up.